A medical graduate from King Edward Medical College, Dr. Amjad Saqib was selected for the nation’s topmost bureaucratic institution, the elite Civil Service of Pakistan in 1985. Having stood out as a public servant, right when his career was about to move towards higher echelons, he resigned in 2003 with the intent to dedicate himself to becoming a social entrepreneur and make a difference in societal change through Akhuwat – which had already been launched in 2001 and had meanwhile started taking strides towards the force it was to become.The salient feature of his public service career – one that perhaps changed the course of his life – was his last assignment, a five-year stint as general manager of the Punjab Rural Support Programme (PRSP) from 1998 to 2003.It is here that he had the opportunity to closely examine the various initiatives of poverty alleviation, Education Management, participatory development and conventional microfinance. And this made him realize that “something different had to be done”. This desire to do ‘something different’, something more effective as a panacea for the poor spurred him on to conceive and introduce an interest-free microfinance model based on the idea of Muakhat or brotherhood. This makes Akhuwat a unique microfinance organization – indeed the first of a kind. The model has by now been replicated by many organizations but at close to $110 million in disbursed amount Akhuwat remains the largest such institution in the world. In 1993, Dr. Amjad Saqib completed Hubert H. Humphrey Fellowship and took his Master’s degree in Public Administration from the American University, Washington D.C., USA. He terms his stint in the US as most inspiring period of his academic and professional career. He also studied at LUMS, where he completed the one-year LUMS – McGill University Program in Social Enterprise & Management. He served in top management positions throughout his career in public service and was recognized as a diligent, outspoken and highly competent civil servant. 1. Founding Chairman/Executive Director Akhuwat, the largest interest free microfinance program. 3. 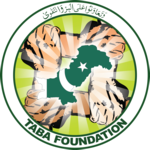 Member Board of Director Punjab Education Foundation (PEF), an organization that is providing free education to more than 1.2 million poor students. 6. Punjab Fund for Rehabilitation of Special Persons (A State of the Art Rehabilitation Centre for Disabled Persons) owned by Government of the Punjab. Besides his pro bono work for Akhuwat and above mentioned civil society organizations, Dr. Amjad Saqib is a highly sought after consultant, and has provided consultancy to various international development agencies, such as the Asian Development Bank, International Labor Organization, UNICEF, the World Bank, Canadian International Development Agency, USAID and DFID. This consultancy work has also been in his core area of interest: poverty alleviation, microfinance, social mobilization and education management. Dr. Amjad Saqib is also a regular guest speaker at the Civil Services Academy (CSA), the National Institute of Public Administration (NIPA), the Lahore University of Management Sciences (LUMS) and many other professional forums. He has also been among the visiting faculty at the University of Punjab. He has spoken at Harvard, Cambridge, Oxford, LSE, Warrick and Kings College London and represented Pakistan and many international forums. Dr. Saqib has also authored six books. These are: Shehr-e Lab-e-Darya (شہرِ لب ِ دریا). (Khushal Khan Khattak Literary Award Winner), Aik Yadgar Mushaira (ایک یادگار مشاعرہ), Gautam Kay Des Mein (گوتم کے دیس میں), A travelogue to Nepal, published by Sang-e-Meel Publications), and Ghurbat aur Microcredit (غربت اور مائیکرو کریڈٹ). Subsequently, he wrote another travelogue Akhuwat Ka Safar (اخوت کا سفر), (more than 11,000 copies sold) and a compilation based on real life stories of victims of loan sharks, Dasht-e Zulmat (دشتِ ظلمت). Dr. Amjad Saqib is an inspiring speaker and a prolific writer, and his exceptionally well-written columns appear quite frequently for leading Urdu dailies Nawa-i-Waqt, Jang, Pakistan, Nai Baat and Jinnah. These are mostly on current affairs, events, ideas and personalities, and, according to critics, have the pleasing touch of a litterateur. • “Life Time Achievement Award, 2014” by Abu Dhabi Islamic Bank (ADIB) and Thomson Reuters on 29th October 2014 at Dubai. • Engro’s IATC 2013 “I am the Change” Award. • President of Pakistan awarded Sitara-a-Imtiaz, (one of the three highest civil awards) in 2010, on account of contributions made for social development and poverty alleviation. • Khushal Khan Khattak Literary Award by Government of the Punjab in 1993.